You notice patterns. White guests often are mortified – that word again – when they learn their ancestors owned slaves. But I’ve never had a black guest who was upset to learn about white ancestry that probably involved forced sexual relations. You have to have a canon so the next generation can come along and explode it. You have a diasporic black world, and the only way to put it back together again is symbolic. It’s like Humpty Dumpty. Whoever could edit the ‘Encyclopedia Africana’ would provide symbolic order to the fragments created over the past 500 years. That is a major contribution. You can say I had a severe case of ‘Roots’ envy. I wanted to be like Alex Haley, and I wanted to be able to… do my family tree back to the slave ship and then reverse the Middle Passage, as I like to put it, and find the tribe or ethnic group that I was from in Africa. You can find virtually everybody black back as far as the 1870 census. Why 1870? That’s when the ex-slaves first have surnames. But if you find your great-great-grandfather in 1870 and it says he’s 50, that means he was born in 1820 and you’re back to 1820 already. For an American that’s pretty damned good, you know? What’s fascinated me from the time I was a little kid was the way we construct our lives through stories. What people forget is that the most radical thing about Obama is that he was the first black man in history to imagine that he could become president, who was able to make other Americans believe it as well. Other than that, he is a centrist, just like I try to be. He’s been bridging divisions his whole life. Well, certainly one of the ironies of the success of affirmative action is that the middle class within the black community no longer lives within ‘black community’ by and large. We can’t all work in the inner city. And, I don’t even think that it is incumbent upon an African-American intellectual to be concerned in their work with problems of race and class. It’s just one of the things, that we here at the DuBois Institute, are concerned about. Very few, if any, first-generation black or white or Asian kids will pursue a Ph.D. They’ll pursue the professions for economic security. Many will go to law school and/or business school. There’s a boom in genealogy now. With ancestry.com and other sites digitizing so many of the records, you can now find things in a few minutes that used to take months. There are two things that have always haunted me: the brutality of the European traders and the stories I’ve heard about Africans selling other Africans into slavery. The Western stereotype of Africa and its black citizens as devoid of reason and, therefore, subhuman was often shared by white master and black ex-slave alike. The only people who live in a post-black world are four people who live in a little white house on Pennsylvania Avenue. The idea that America is post-racial or post-black because a man I admire, Barack Obama, is president of the United States, is a joke. And I hope no one will even wonder about this crazy fiction again. Henry Louis "Skip" Gates Jr. was born in Keyser, West Virginia, USA. He is an American literary critic, author, editor, professor, historian, and television presenter. He earned his BA degree in history at Yale University in 1973. He earned his PhD in English literature from Clare College, Cambridge University in 1979. He currently serves as the Alphonse Fletcher University Professor and Director of the Hutchins Center for African and African American Research at Harvard University. 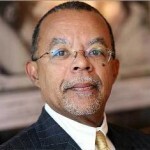 In addition to producing and hosting previous series on the history and genealogy of prominent American figures, since 2012 Gates has been host for three seasons of the series Finding Your Roots on PBS. He has written several books include: The Signifying Monkey, Loose canons, Colored People: A Memoir, The Future of the Race, Wonders of the African world, Life Upon These Shores, and Black in Latin America.